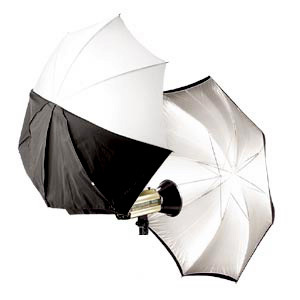 The Photoflex RUT 30″ White Convertible Umbrella converts from a bounce umbrella, which produces contrast, to a “shoot through” umbrella, which produces soft light. 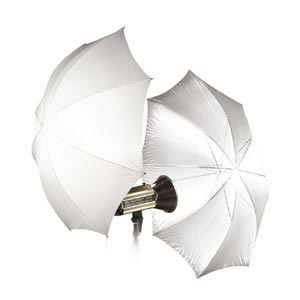 Photoflex RUT 30″ White Convertible Umbrella. 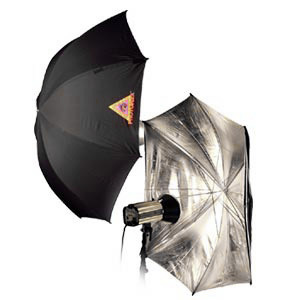 The Photoflex RUT 30″ White Convertible Umbrella converts from a bounce umbrella, which produces contrast, to a “shoot through” umbrella, which produces soft light. 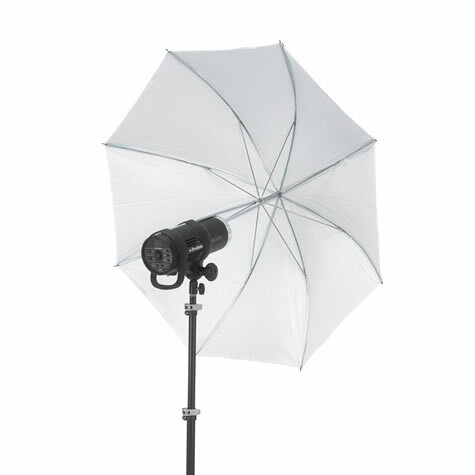 Get the best of both shooting styles in one umbrella. Can be used for strobe or hot lights. Also available in 45″ and 60″ size. Parabolic-shaped reflector – which provides large circular light source to render circular catchlight in eyes. Convertible – provides great reflection, but it can also be used as a “shoot-through” umbrella by removing the black cover. The RUT Umbrella is designed as a convertible umbrella that can be used as a shoot-through by removing the black cover.